Béla Lipták, PE, is a CONTROL columnist, automation and safety consultant, former Chief Instrument Engineer of C&R and former Yale professor of process control, who is also the editor of the Instrument Engineer’s Handbook (IEH). Last year, when I was asked about the publication date of the 5th edition of my handbook, I answered, 2014. Today, my answer is late 2015, and if you ask me next year, my answer might also shift. Why? Because of the explosion of inventions and international competition during the past decade to meet the needs of the new processes from deep-sea drilling to solar hydrogen, from high-density batteries to bitumen and fracking processes, or in automating new nuclear power plants that will operate underwater (a design that as-yet exists only on paper). Here I will give only one example of this advance in only one area of measurement, an area about which, a decade ago I would have said that everything that can be discovered, already has. Well, I was wrong! The area I am talking about is flow measurement. I will describe only one new flow detector, but in future columns I might continue. Also read related The Latest in Instrument Technology. I call this transition time the “scraping the bottom of the barrel” period. During this period, the less intelligent “tribes” (today we call them nations) will be waging wars over what oil and gas is left, while the smart ones will redirect some of their military budgets to develop green energy technology, which is already advancing (solar collector prices dropped five-fold in a decade, the needs of 2 million Texas homes are met by wind energy, etc.). So what is the challenge for our profession? It is to help both tribes. We can help the smart ones make their green processes cost-effective, and we can help the less intelligent ones make their outdated processes safer and less damaging. Here I will concentrate on the processes of this second group and will focus only on the oil and gas flow measurement advances that are occurring in fracking and undersea production processes. Oil or natural gas production is a multiphase stream consisting of oil, water, gas and sand. When drilling a couple of miles deep under the ocean or fracking a couple miles below the groundwater layer in North Dakota, it’s good to know if the total flow rate or the composition of the product changes. This is very important for safety reasons. The BP accident was caused by methane blow-out that was discovered too late. You might have also have heard of groundwater contamination because fracking fluid escaped and was not discovered in time. Measurement of the multiphase fluid rate and fluid composition is also important for production efficiency reasons and for zonal allocation of gas production in multi-zone completions. 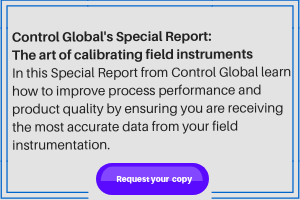 It also supports identification and localization of injection or production anomalies in real time, determination of well productivity index, reduction of the need for surface well tests and surface facilities, etc. In the past, the flow rate and composition of the product was determined by above-ground separators and after separation, the oil, water and gas flows were separately measured (Figure 1). These separators were not only slow (often intermittent), but they usually separated only a small bypass stream, which was not necessarily representative. In addition to being slow, this technique was also expensive and took up a lot of space. Figure 1: Conventional production uses above-ground separation to measure flows of oil, water and gas. This method is slow to determine what the well is producing. Therefore, replacing the separators with in-line subsea multiphase flowmeters (Figure 2) was a major advance both in terms of safety and efficiency. Most of today’s multiphase flow rate measurements used Venturi tubes and nuclear densitometers (Figure 2). They have no moving parts, do not require much maintenance and use sophisticated flow models to interpret the multiple measurements (flow, density, pressure and temperature) into dynamic multiphase flow and composition determinations. The subsea multiphase flowmeters are “marinized,” packaged and deployed by specialist subsea companies to replace topside well test separators and serve not only the management of individual wells, but also reservoir management and allocation metering. The latest technology in subsea flow metering uses downhole fiber-optic (FO) cables mounted on the surface of the production pipe. On the right of Figure 3, the FO cable connecting the distributed optical temperature sensors (DTS) is shown in red, and the cable connecting the distributed optical pressure sensors (DPS) is shown in blue. They interrogate multiple pressure and temperature sensors mounted on the outside surface of the production pipe. These optical sensors take advantage of the fact that light in vacuum travels at velocity C, and when it reaches the surface of a substance, it slows to velocity V. The refractive index n of a particular substance equals the ratio of these two speeds (n = C/V). Therefore, the refractive index determines how much the light is bent (or refracted back when reaching the interface with a substance). The refractive index also determines the critical angle of reflection, the angle at which total reflection occurs, and the material starts behaving like a mirror. Therefore, if one is able to prepare an optical filter grating element that transmits all wavelengths except one, a wavelength-specific mirror is obtained. The method, allowing a number of sensors to be interrogated by a single FO cable, uses a fiber Bragg grating (FBG). A fiber Bragg grating (FBG) is a type of distributed Bragg reflector constructed in a short segment of optical fiber that reflects particular wavelengths of light and transmits all others. A fiber Bragg grating can therefore be used to provide inline optical filters, each of which blocks or reflects a different specific wavelength. This system is usually referred to as a Distributed Bragg reflector. Figure 4 shows the structure of a fiber Bragg grating system. The refractive index profile of the fiber core shows the change of the refractive indexes (n0, n1, n2...) along the core, and the spectral response at the bottom shows how the incident broadband signal is split into the transmitted and reflected components at the Bragg wavelength, λB. Figure 2: Fiber-optic cable with a core containing gratings (n0 to n3) that transmit all wavelengths except one (λB), which is specific to them and which it reflects. Thereby, the receiver algorithm "knows" which wavelengh is coming from which optical sensor and can read many sensors at the same time. The fluid (a mix of gas, water and oil) passing through the production pipe travels at some average temperature and pressure. Both of these variables oscillate around some average value. These fluctuations (the noise superimposed over the average values of the pressure and temperature of the fluid) carry valuable information, because they are caused by eddy currents, gas bubbles, specific gravity changes and composition variations, etc., that occur very quickly. The differential pressure between two detectors, for example, is related to the volumetric flow passing through the pipe, while the time it takes for a particular fluctuation to travel from one detector to another relates to the velocity of the fluid. The extremely fast optical pressure and temperature detectors (“1” in Figure 5) pick up these oscillations and forward them to the sophisticated algorithms at the receiving end of the FO cable, which interpret them – this “superimposed noise” traveling up the production pipe—into flow rate and composition. In my next column I will describe other new flowmeter designs, unless in the meanwhile, an even more interesting topic comes up. Béla Lipták, PE, automation, safety and energy consultant, is also editor of the Instrument Engineers' Handbook. He can be reached at liptakbela@aol.com.